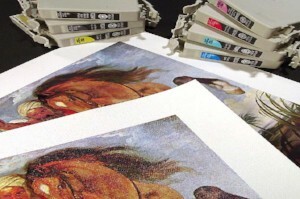 Giclée printing offers the opportunity for replicating original works from high resolution digital scans; many of which are of archival quality. Giclée prints are capable of being printed on various kinds of substrates including cotton canvas, matte, photo paper, and watercolor paper. Giclée prints are a great facilitator for artists who wish to reproduce their work upon request but cannot afford to mass-produce it. A digitally archived high-resolution image can be saved indefinitely and reproduced in almost any size and media format to maximize the artist’s marketability. The quality of Giclée prints is so exceptional that it rivals the more traditional processes for printing and is frequently used for pieces in museums as well as art and photo galleries. Bestype Imaging has been offering printing services in Soho and beyond for over 35 years. In that time, we have not only catered to NYC’s graphic artists and businesses but to the fine arts sector. Working with some of Tribeca’s leading independent artists, Bestype Imaging has the experience necessary to produce your prints with the greatest care for personal or gallery use.